RConversation: Dear President Obama: in talking to China, remember its people. 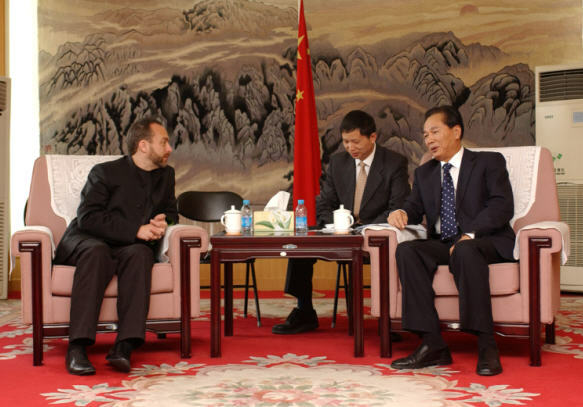 An amazing meeting in Beijing — Jimmy Wales seeing Chinese officials at the State Council Information Office. I met Jimmy in Dalian at the WEF event a year ago — he mentioned then that people in the Chinese government were interested in talking with him about Wikipedia. Rebecca’s got a great writeup on it, as she apparently saw Jimmy at this year’s WEF event there (The event last year is when I met Rebecca, too.) We live in interesting times.